Ruijslaan 22, 1796 De Koog - Texel, Países Bajos. 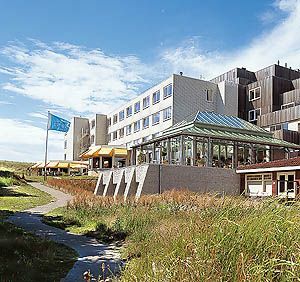 The Hampshire Grand Hotel Opduin is less than 300 metres from the beach, the dunes and is situated on the edge of the village de Koog. It is a four-star hotel with all the rooms furnished with taste and all it takes to make them comfortable and let you feel at home. Here you can start your day with the famous Texel breakfast buffet which includes many types of farmhouse bread, Texel cheeses, cold cuts, biological cottage cheese produced on the island and numerous other dairy products and home-made jams. Arriving here means experiencing hospitality at its highest level. Playa, Bosque, Centro ciudad, Puerto, Vistas panorámicas. Taste the refined quality of classic simplicity. Nature and classic simplicity are the basis of Grand Hotel Opduin's kitchen. Our chef de cuisine will spoil you with the most refined dishes. Exciting combinations of honest ingredients will surprise you every day. Your holiday already starts when you step onto the ferry to Texel in Den Helder. A great part of Texel consists of nature areas with many species of flora and fauna, most of these areas have been declared national park. These circumstances are unique in the Netherlands, and maybe even in the rest of Europe. The beautiful sandy beach stretches for around 30 km, and is one of the cleanest of the Netherlands. Swimming in the North Sea, relaxing somewhere on a terrace, or joining leisure or sport activities, everything is possible. 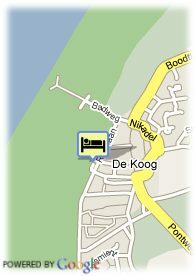 Texel is an ideal holiday-island for families with children. There is so much to do: playing on the beach, watching seals, nature excursions with a ranger or going along on a shrimp fishing boat.